The Massachusetts Registry of Motor Vehicles maintains a database of each driver’s history whether they hold a standard license, commercial license, or learner’s permit. The public driving record provides a comprehensive view of a motorist’s career as a driver in the State of Massachusetts. It is important to get a copy of the Massachusetts driver history in order to find out whether or not the information listed there is accurate. Certain negative information found within your report could cause your insurance rates to be higher than average. Additionally, records of offenses or traffic violations could affect your chances of obtaining certain types of employment. There are currently two types of driving records available from the Massachusetts Registry of Motor Vehicles. They include the unattested public driving record and the true and attested public driving record. The unattested public driving record is more generally used for information purposes while the true and attested version is for court or official purposes. When you order your driving record through 4safedrivers.com, you will be able to see a comprehensive listing of all activities recorded about you as a driver. If any changes occur on your official MA MVR report, you can see these changes posted on your copy of your driver report reflecting the new information and any applicable points. Becoming aware of the information contained within your MA H6 printout can assist you in knowing whether or not the facts contained there are accurate. An MA driver history report will also include any convictions or DUIs which took place outside of the State of Massachusetts. Where Can I Get My MA Driving Record? 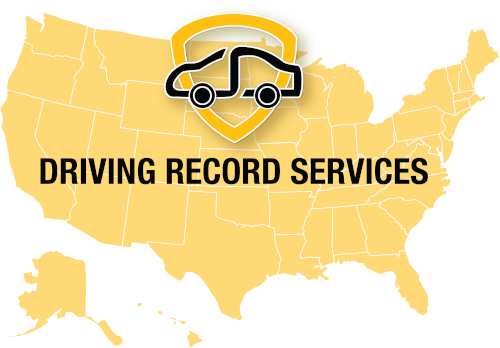 Drivers in the State of Massachusetts who want to know how to get Massachusetts driving record reports can benefit from using our straightforward online service. At 4safedrivers.com, we have been providing driving records to Massachusetts residents for the past 20 years. Our commitment to offering the most accurate and updated records available make us a source you can depend on. Whether you are concerned about a traffic accident that occurred years ago showing up on your driving record or you need to know all of the facts about your DOT history in Massachusetts, we can provide you with the right solutions. Just fill out our simple online request form to get a copy of your MA DMV printout sent to you by email. How Many Points Are On My MA Driving Record? In the state of Massachusetts, any driver that engages in three or more traffic related offenses in 24 months or drivers who incur three speeding tickets in 12 months will have their licenses suspended. Additionally, points on your Massachusetts license may affect your insurance rates and cause your insurance policy to become canceled. Points on your Massachusetts driving record abstract can also cause your application for employment as a commercial driver to be denied. If you have been wondering about your DMV license points in Massachusetts, the best way to determine how many points there are on your MS driving record is to get a copy of your H6 MA DMV printout. This report displays information related to the number of points you have amassed on your DMV history in Massachusetts. If you would like to obtain MA driving record reports, you can do so by checking your report online with 4safedrivers.com. However, you may find that there is information listed on your report that is inaccurate. In the event that there is erroneous information on your report, it could work against you and cause your insurance rates to be higher than normal. You can fix errors on your report by contacting your local branch office of the Massachusetts Registry of Motor Vehicles. Is My Massachusetts Driver License Suspended? If your driver license in Massachusetts has been suspended, you will have to take the necessary steps to reinstate the driver’s license as outlined by the Massachusetts Registry of Motor Vehicles. However, you can also obtain a copy of your MA DMV ticket record to see what tickets and offenses are listed there and to find out whether or not you have any changes to your license status. On your Massachusetts DOT history, you will be able to see whether or not your driver’s license is classified as suspended, canceled, or revoked. Why Check Your Massachusetts Driving Record? Periodically checking your Massachusetts driving history will provide the information you need regarding the contents of your driving record. If there is erroneous information reported there, it could be costing you hundreds of dollars a year in insurance premiums. Taking the first step to request a copy of your MA DOT report will guarantee that you are able to protect your driving privileges in Massachusetts. When applying for certain employment positions such as commercial driving and even non-driving positions, your prospective employer may request a copy of your driving record. They do this to see if there are any reported DUI convictions, traffic related offenses, or other information listed there that reflects your level of responsibility. You can request your own MA MVR report ahead of time so you can be aware of what your employer may view on your driving record. Your driving privileges in the state of Massachusetts are affected by how many points there are listed on your driving record. Finding out demerit point amounts is one of the main reasons that local drivers get their reports. It’s easy to check Massachusetts license points with 4safedrivers.com. Our direct online driver license record service can provide you with a copy of your State-approved Massachusetts driving abstract by email as soon as today. Just fill out our simple online form to find out exactly how many points there are on your Massachusetts driving abstract. This will allow you to take care with your driving and take the necessary steps to preserve your driving privileges. Your auto insurance rates are directly affected by the information contained within your Massachusetts DMV license history report. Any tickets, suspensions, or otherwise adverse information will cause your auto insurance rates to increase exponentially. In addition, your auto insurance policy may be canceled entirely if your auto insurer considers you as too great of a risk. When this takes place, it will be harder to find the affordable coverage you need for your vehicle. When checking into your MA MVR, an auto insurer can’t access the entire report. However, they will be able to see a partial report for a few years back. Some of the information listed there may include prior traffic accidents, recent tickets, infractions, and other traffic violations. The auto insurance company may perceive you as a risk if they see a multitude of adverse listings on your MA driver history report. If you request a copy of your MA DMV record at the local DMV, it could be days of waiting before you receive your driver history report. However, if you obtain a copy of your Massachusetts driver history with 4safedrivers.com, we can send you a copy of your report in just a few minutes by email. Since 1999, we have been providing the best quality driver license record services to our customers in Massachusetts and nationwide. Count on us for accuracy and efficiency throughout the entire process. Order your driving record today and receive your report in under 24 hours. All of the information provided in your Massachusetts driving record report is obtained directly from the official Massachusetts Registry of Motor Vehicles, not from online public records. Rest assured knowing that since your MA driving record is sourced directly from the DMV, that it will be the most accurate and updated copy available. Since errors are still possible with the DMV, we recommended checking the records on file to guarantee their accuracy. Any wrong information could result in compromised employment, license suspension, and higher insurance rates. Protect your driving capabilities and ensure the accuracy of your MA driving record by checking your information today.